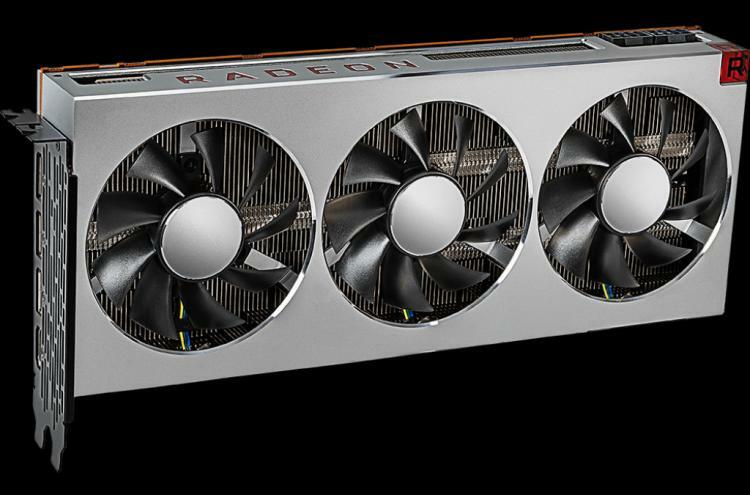 Today marks worldwide availability of AMD's latest flagship GPU, the Radeon VII. Featuring a brand new Vega 20 GPU built using TSMC's cutting edge 7nm process and a monstrous 16GB of HBM2 memory, it's a clear step above the Radeon RX Vega64 in terms of performance and technological prowess. However enthusiasts should be aware that stock is known to be very limited, especially in the UK where it's rumoured that only 100 units will be available nationally. Keeping that in mind, Overclockers UK now have listings for all the Radeon VII videocards sold through the major AMD partners starting from £649.99. Plus, these cards are all bundled with three free games - Devil May Cry 5, Resident Evil 2 and Tom Clancy's Division 2 - which adds plenty of value to the package if that was a major concern. OCUK's best value variant is the Sapphire Radeon VII 16GB. As you'll see this is far cheaper than competing brands, and is likely to be sold out very quickly indeed. It follows in the footsteps of some exception deals for Sapphire graphics cards of all flavours in recent months. Next up is the PowerColor Radeon VII, which is a slightly more dear £698.99. PowerColor have been a erstwhile launch partner for AMD in recent years, so it's no surprise to see them as one of the better value propositions if ordering on day one. Last week PowerColor confirmed that no custom variants of the Radeon VII are in the pipeline in the short-term. Finally, the three Premium partners MSI, ASUS and GIGABYTE have Radeon VII models priced at £799.99 inc. V.A.T. Bear in mind that all cards sold in the launch wave will conform to a reference PCB and cooler design. As a result, the chief difference between brands will be post-sale warranty; it's debatable whether this is worth the huge disparity in price. Learn more about the AMD Radeon VII here.